Always Looking Up - set it aside & now I can't find it! Quite a list and many that are also part of my TBR stack; Circle of Souls, Water Witch, The Many Who Loved Books Too Much...well more than a few. ;) Happy reading! I've read good things lately about Laced With Magic! How did you like A CIRCLE OF SOULS? Looking forward to your review. You were able to read a lot of books this week, and for that I am so jealous! Thats a list! :) I read Circle of Souls and reviewed it. I actually was surprised how much I did like that book. You've listed many books I'm interested in! House on Tradd Street is one I've had on my TBR forever!! I'm currently reading The Summer Kitchen. I'mm off to go learn more about some of the others, i.e Casting Spells. Have a great week! Alaine, Teddyree, and I are getting ready to have a Twitter chat while we read Wait Until Twilight. Come join us! Your still readin/started portion looks a bit like my bookmarks are still in the middle of section. perhaps I should provide a bit of commentary on mine too (although the commentary on mine would just about enver change!!!). 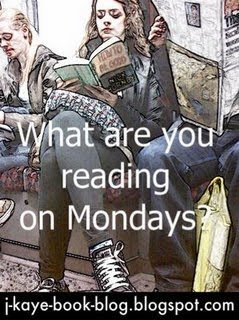 Have a great reading week my dear - you look all set to have a few reading week..